The Monsters Inc. crew had to start somewhere. In Pixar's first animated prequel, we're given an insiders look into how they spent their university lives. Let's not pretend Pixar are perfect. Not any more, at least. Between 1995 and 2010 they were responsible for some of the greatest films ever made, as well as the complete repositioning of the the animating world. They made engaging and courageous films. Whilst Dreamworks rehashed Shrek time and again, Pixar kept challenging cinematic convention. A two hour superhero film about being middle-aged. An entire film set in an underwater world that was as convincing as it was beautiful. A robot love story for children that opened with twenty dialogue-free minutes. They glitched, too. 2006's vanity project Cars was messy and ill-conceived, but still has the dubious honour of being the most successful single film of all time, once merchandise has been considered. The balloon-and-real-estate comedy Up was a little Dreamworks-esque in style, but remains a rarity in children's cinema - a movie fronted by an OAP and opening with a scene that relegates even Bambi to the footnotes of cinema's emotional devastations. But recently Pixar have been running out of ideas. Since the turn of the decade, only Brave represents a film not based on a previous studio effort. That film was a breezy but unoriginal mash-up of Freaky Friday and Brother Bear. Cars 2, on the other hand, might well have been written by one of the toddlers who had bought the merchandise of the first film. It featured Michael Caine as a spy car - essentially rehashing his role in the third Austin Powers film, only with optional extras like a sunroof or gloss paint job. The making of Cars 2 was ballsy, sure, but only in the same way that it would be 'ballsy' for the BBC to cast Kate Hudson as the next Doctor Who. At first glance, Monsters University hasn't done much to raise Pixar back up to the standards of yore. It's the studio's first prequel, in which the stars of their excellent Monsters Inc. meet at university, strike an immediate dislike for one another, and have to learn the true meaning of friendship while this very sentence gets so bored of itself that it drifts into a restless slumber. Zzzzzz. Christ, Pixar - are you making it hard to like you? Actually, that's exactly what my theory is. This is a studio that used to revel in giving itself impossible challenges. They've undertaken immense technical tasks, wonderfully deranged plots and even raised the bar time and again on just how utterly miserable a film can make children before parent's start complaining (the answer to that, it seems, is very bloody miserable). Why not undertake the hardest challenge of all – making a cliché-ridden prequel appealing to all audiences? As it turns out, Pixar have done a rather stellar job. It's apparent from the beginning that each and every person involved in the making of Monsters University has a deep, reverential respect for the original movie. There are references galore, hidden gleefully throughout the movie, and each character is given the treatment they deserve. If John Goodman's big blue Sulley was the emotional core of the first film, this time round the big moments are all Mike Wazowski's. We kick off with the young, awkward Wazowski on a school trip to the Monsters Inc. factory – a vaguely Last Crusade moment provides enough motive for an entire movie, as the little green beachball decides on a future career as a scarer – the specially trained monsters who creep into children's rooms and make ugly faces in order to harness the power of their screams. The film doesn't need to explain why this is a silly idea. It does explain it, several times, but it doesn't need to. Mike isn't scary, and it's obvious to everyone but him. Flash forward to the Ivy League scaring university, and Mike meets another eager young scarer – James P. Sullivan. One of the biggest achievements of the film is its de-maturing of the two main characters. Both are formed very believably as younger, more arrogant versions of the two characters we already know. Sulley, in particular, is pitched perfectly as some sort of cross between a frat boy and Jeff Lebowski. He's introduced initially with a grand roar, but it's when he's paired in scenes with Wazowski that his charms are most apparent. The duo don't get along – each the other's worst nightmare – but eventually (and inevitably) circumstances force them together. The duo find themselves entered in the university's Scare Games, as part of the least terrifying team since, say, Sunderland. The games are pitched as a series of increasingly difficult challenges to prove a team's ability to cause a good pant-wetting. It's a very simple premise, and one that naturally lends itself to hilarity ensuing – and it does. What's perhaps surprising is just how enjoyable the film's very formulaic structure manages to be. The tasks aren't particularly interesting or exciting, but the interplay between characters draws something out of them. The rest of the team, who quite easily could have been forgotten in favour of the established characters, are given time to shine. Tired college clichés are given a new lease of life when the mature student has tentacles, and the hippy is shaped like a particularly fluffy travel cushion. Elsewhere, Helen Mirren becomes possibly the first British actor to put in a convincing performance in an animated movie (god knows why, but our nation is awful at voice acting) – her Dean a genuinely unnerving monster who, part bat and part arthropod, caused several audible winces in the mostly adult screening I was at. When the finale of the Scare Games comes about, everything wraps up pretty quickly and the film feels ready for the end credits. If, indeed, it did stop here, Monsters University would in no way be considered a failure. It might be a film that, a few years down the line, is mostly forgotten by people above the age of seven, but it would be a fun enough way to distract from the world for a short while. But then the movie rears away again, and throws itself in another direction. Sulley and Mike are forced to work together in an unexpected extension of the third act. It allows for a few successes on the film's part. Firstly, a change in setting allows for some beautiful CGI work that had been somewhat missing across the rest of the film (at no-point is Monsters University any less than incredible in terms of the graphics presented, but until the finale it lacks the beauty of Wall-E or Finding Nemo). Secondly, it gives the grown-ups some bonus laughs, turning on their heads the horror tropes that would genuinely scare the bejesus out of us. 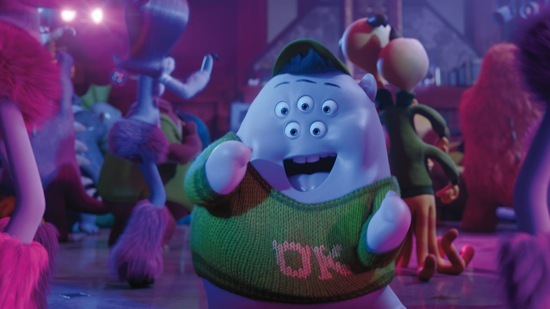 When the real ending comes, you'd still be hard-pressed to name Monsters University amongst your favourite Pixar films, but it's not necessarily going to be down among the worst. It's an incredibly fun film throughout, and though it lacks the emotional punch or storytelling panache of some of the studio's best films, Monsters University is still better than most efforts made for children today - and once upon a time that's all we asked from Pixar.